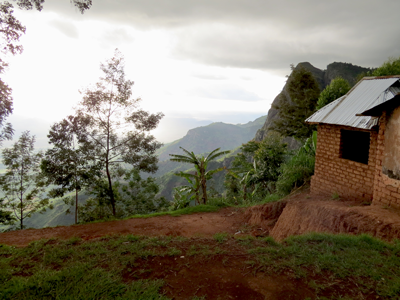 The Usambara’s are one of Tanzanian’s absolute highlights. Just returned from a 3 days discovery tour and I already start thinking of when I can go back! The mountains represent one of the highest degrees of biodiversity on the continent. With breathtaking landscape, vivid villages, talkative people and absolutely spectacular view point’s it is hard to imagine any other place more ideal for hiking. After a 3 hour buss ride from Tanga, of which the last hour on windy roads uphill, we reached Lushoto. 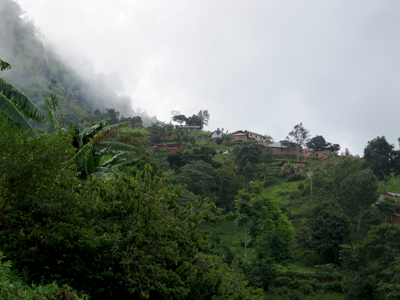 The hub for Usambara trekking and a typical small Tanzanian village ssurrounded by lush vegetation and mountains. We took a taxi to Irente Farm Lodge. What a nice place – as being home but with a view to die for. Every meal was a joy with well prepared homemade food, cheese and yogurt made on the farm served in generous portions. And the location is perfect – close to various view points, trekking paths, rain forest and all in all striking nature and explorations. 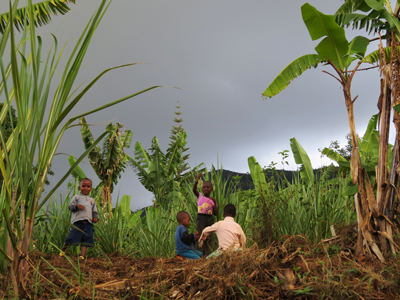 On our first day we took a tour by ourselves up the mountain (2 km) and discovered the life of the Wasambara tribe living on the mountain slopes. Children coming home from school, people chit chatting and the bar was playing music all day long. Life in the mountains! We walked on twisting paths passing picturesque villages in settings so beautiful we had to rub our eyes . When reaching the 1400 m high point we had the wide plain below us, the mountains around us and small cute villages next to us. On the second day we took a boda boda ( Motorbike) with driver to Magamba rainforest and reached the viewpoint at 1850 watching various weathers passing by. Going back we saw some of the Black and white Colobus monkeys living here. And then thank God, another enjoyable evening at Irente Farm Lodge with good food. Noting more to wish for.